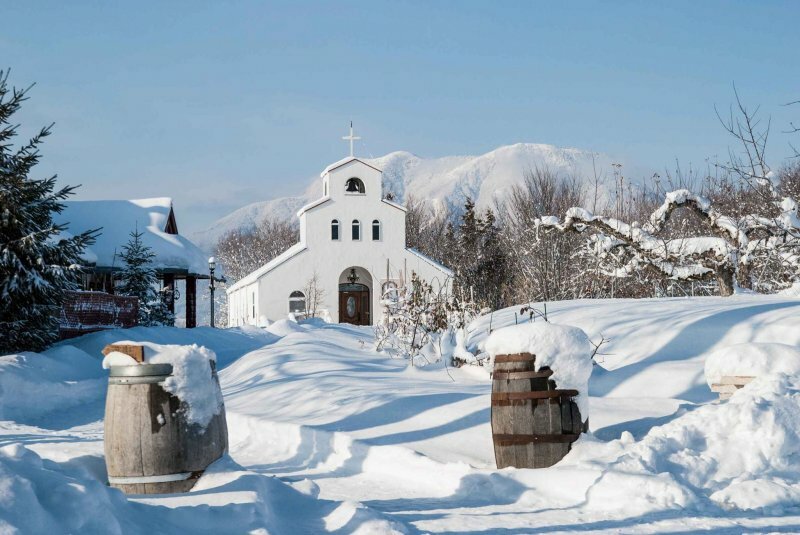 St. Cousair, an award-winning winery located in northern Nagano Prefecture’s town of Iizuna, is a delightful spot to relax, enjoy gourmet cuisine and fine wines, take a tour of the winery, and, from a cozy setting, view the breathtaking scenery all around. Far from the crowded cities, yet easily accessible from them, the winery, along with its two restaurants, a shop, and a chapel are a popular destination for tourists looking for a nice day out in the countryside. Other St. Cousair Videos here. St. Cousair’s story is quite unique, as this highly successful winery actually started with a jar of jam. 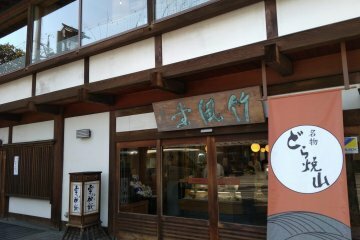 In 1975, Ryozo Kuze and his wife Mayumi operated a ski lodge in Madarao Kogen, a highland area at the northernmost end of Nagano Prefecture. Though the ski lodge was moderately successful, operating it was exhausting, and Ryozo and Mayumi soon decided to pursue a different path. One day, Mayumi made homemade apple jam and served it to the lodge guests at breakfast. It was a big hit, and Ryozo immediately knew that they had found the road ahead of them. They started a jam-making business, and within a few years sold the lodge and focused full-time on making jam. After a very belated honeymoon to the Normandy region of France, Ryozo began looking for a nice, scenic area where he could build a proper factory, restaurant and a winery in a style reminiscent of the quaint villages they had seen on their honeymoon. He found the perfect spot on a hilltop with a view of five nearby mountain peaks, got a loan from the bank and built his dream. Today, after years of ups and downs, that location is the St. Cousair Winery, and it has become a popular attraction for tourists looking to get away from the hustle and bustle of the big cities. St. Cousair’s location includes the winery complex, a gift shop, two restaurants, and a chapel, surrounded by vineyards, apple orchards, beautiful gardens and spectacular views of the surrounding mountains. 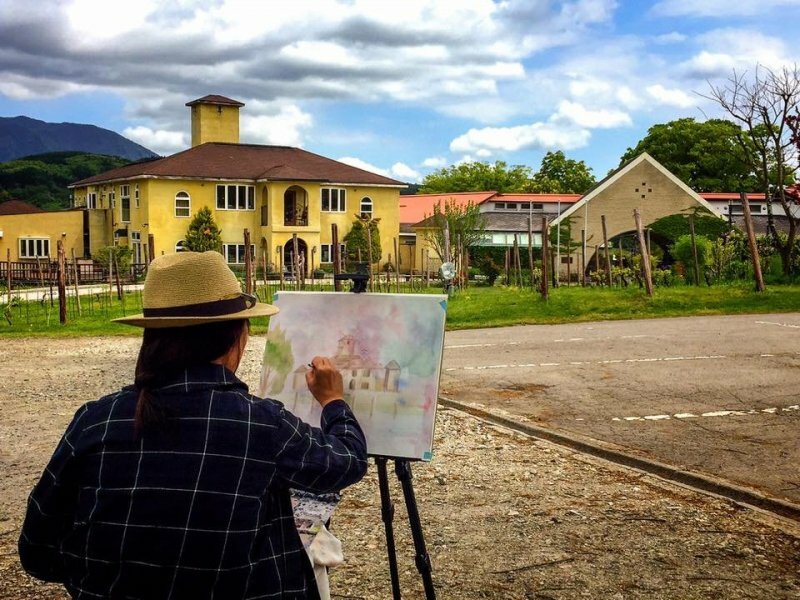 The St. Cousair Winery is conveniently located a short drive from some of Nagano’s most popular attractions. 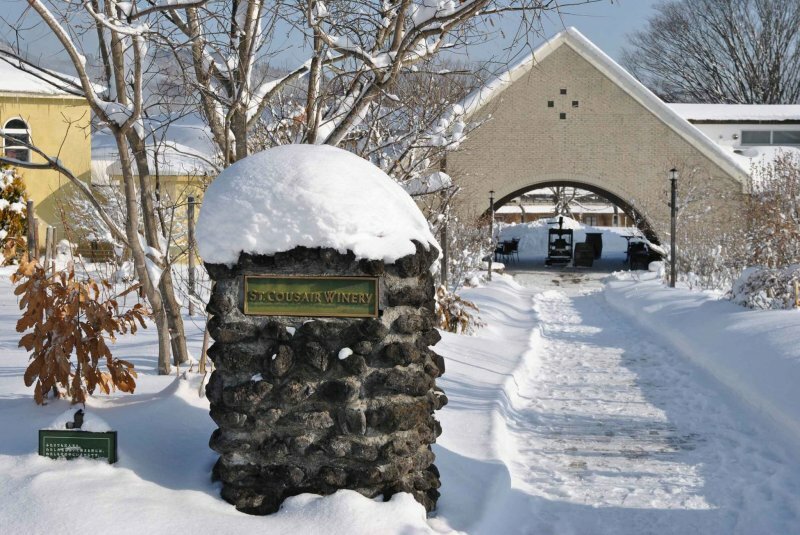 At 30 minutes from Zenkoji Temple, downtown Iiyama or the Jigokudani Monkey Park and less than an hour from the slopes of Nozawa Onsen and Shiga Kogen, the winery is much more easily accessible than its photos would suggest. 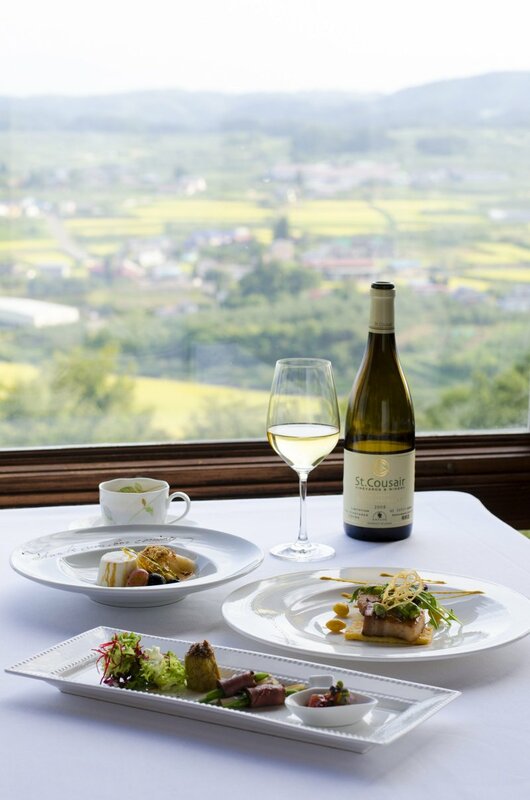 Even from places as far as Tokyo, the St. Cousair Winery can be reached in just over two hours by shinkansen and a short hop on a local train. The Winery grounds are on a hilltop high above the old village of Samizu (now the town of Iizuna). Its most scenic and photographed spot is at the top of its Chapel Vineyard, consisting of Cabernet Franc and Cabernet Sauvignon grapes. From here, the visitor is offered breathtaking views down over rolling hills to the Chikuma River Valley, with the high peaks of Shiga Kogen and Sugadaira in the distance. 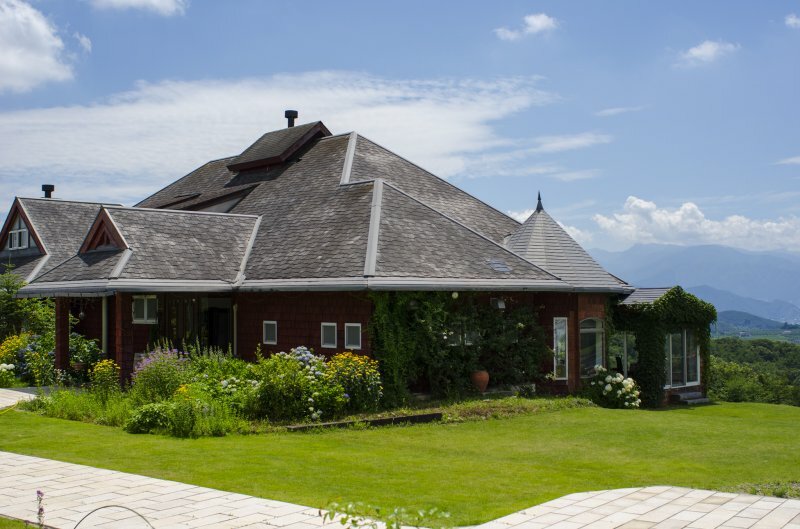 Next to the winery building is a spacious garden with a wide open grassy lawn and views of a distant Mt. 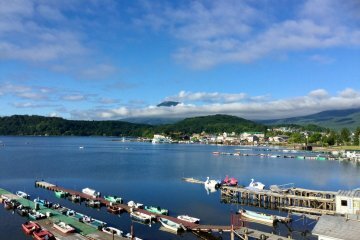 Madarao (where the Kuze family once ran their ski lodge) and the mountain peaks of Kijima-daira, Nozawa, and Kita-Shiga. 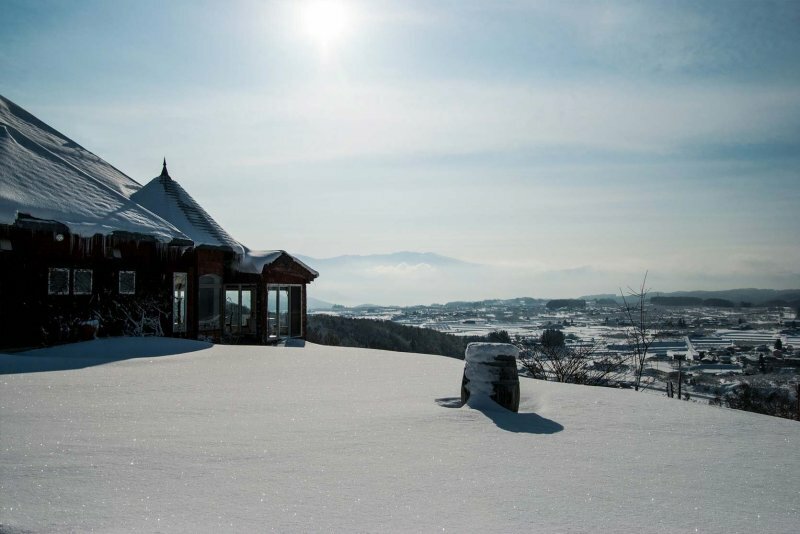 The scenic beauty of the Winery is a delight in any season of the year. Whether it is the fresh green leaves on the grape vines in Spring, the roses lining the walkway to the Chapel in summer, the beautiful tapestry of colors seen from the Winery Restaurant in autumn, or the thick blanket of soft snow in winter, St. Cousair will always offer the visitor a place to relax, and breath in the clean air a world away from the crowds and noise of the big city. St. Cousair produces 250,000 bottles of wine and cidre per year, with almost all of it created from domestically grown grapes and apples. 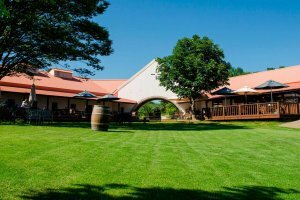 Its estate vineyards are located adjacent to and in the vicinity of the winery itself, all in the northern Chikuma River Valley, a hilly region that is quickly becoming an outstanding wine production area in Japan. St. Cousair’s winery offers free 20-minute tours at 11:00, 1:30 and 3:00 daily. The tours are guided by the Winery Shop staff, who are very knowledgeable about the history of St. Cousair and about winemaking. They will answer any questions you have about St. Cousair, its wines and how they are made. On weekdays, visitors taking a tour will likely see winery staff hard at work in the winery building. 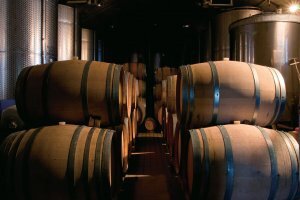 Walking down the steps into the winery’ main building, you are immediately hit with the scent of the wine being aged in barrels here. 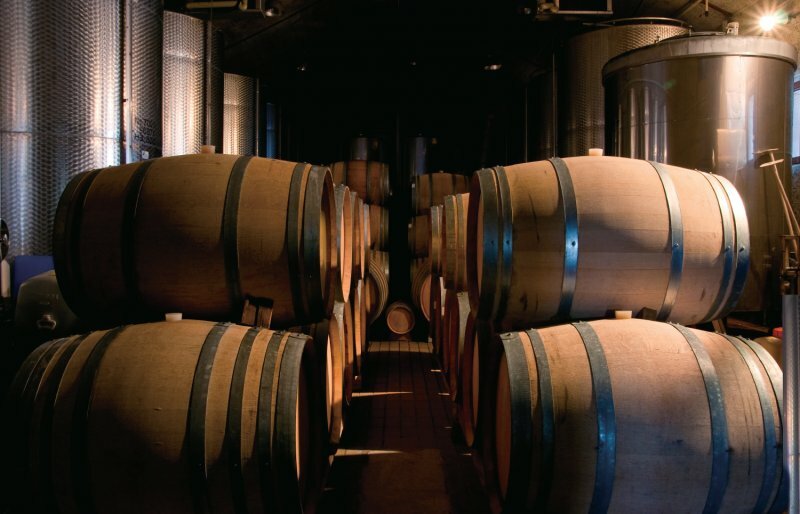 The large room where the winery’s French oak barrels are kept, is actually called “the tank room,” since St. Cousair also ages some of their wines and all of their cidres in large stainless steel tanks. Ageing takes one year here, and the tank room is kept at a year-round temperature of 15 C. The aroma is delightful, and visitors tend to try to linger there as long as they can. Something you will certainly notice in the winery is the presence of a German-made brandy distillery. Installed in the spring of 2017, this device is being used to create St. Cousair’s own apple brandy, using apples grown at orchards in the area. St. Cousair’s Winery Restaurant is located on the hilltop next to the chapel, and offers elegant French and Continental European fare, fine wines produced at the vineyard, and lavishly decorated desserts. 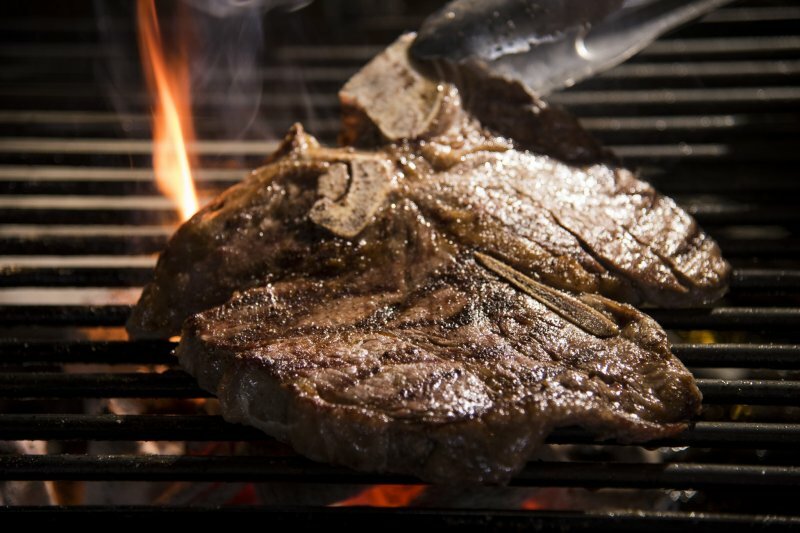 The highlight of this year’s menu is their charcoal-grilled T-Bone Steak, served to your liking at the restaurant’s open grill. Other entrees include Shinshu Pork, Nagano Venison and Wagyu Beef, among others. There are plenty of vegetarian options as well, including their Vegan Salad, a plate of locally grown lettuce, radish, tomatoes and beans, topped with St. Cousair’s own grapeseed oil dressing. They have a scrumptious Caprese Salad, made from locally produced ingredients, and a number of pastas, some prepared with St. Cousair’s popular tomato sauce recipe. 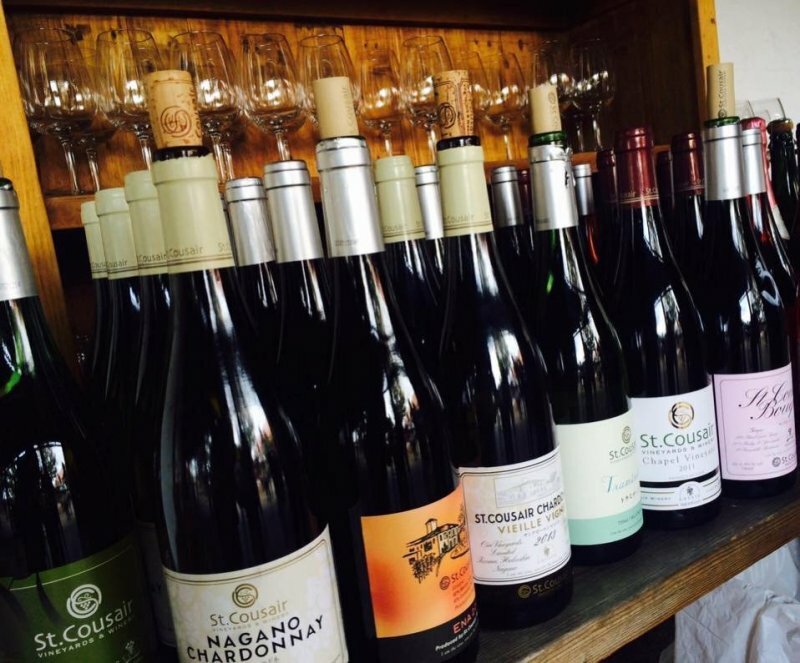 Available wines often include St. Cousair’s chardonnay, merlot and cabernet varieties. St. Cousair’s Winery Restaurant has a reputation for writing special messages in chocolate on the dessert plate; a nice finishing touch to the dining experience! And throughout your meal the sweeping panoramic views from its large south-facing windows constantly beckon you. St. Cousair’s chapel was built in the spring of 2005, with an almost entirely volunteer group of people gathered from churches and groups from places both near and far. A simple, white stucco design modeled after the Church of the Multiplication on the northwest shore of the Sea of Galilee in Israel, the chapel is arguably the most scenic and picturesque place of worship in Nagano Prefecture. During spring, summer and autumn, wedding ceremonies are held here on most weekends, and weekly church services are offered on Sunday afternoons year-round. All are welcome to attend or just come in to see the view from the chapel’s windows. For a more casual, tavern-style dining experience, St. Cousair offers their Delicatessen. 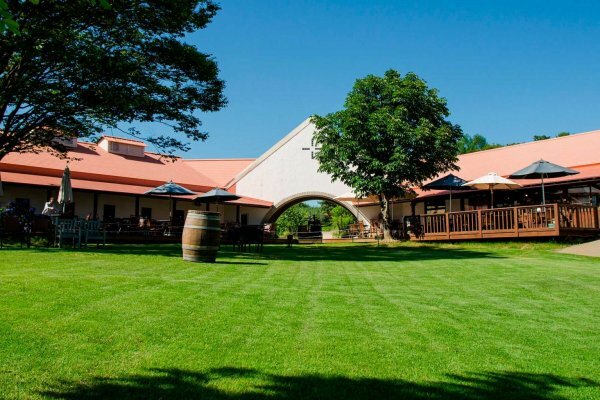 Located next to the entrance archway, opposite the winery building, and next to the garden, the Delicatessen features homemade sausages, steaks and quiches, served with a side of fresh, locally-grown salad. The drink menu here includes the wineries various vintages, such as chardonnay, merlot and cabernet, along with a variety of alcoholic choices and soft drinks. In the winter, the Delicatessen is a cozy spot to relax and enjoy a hot cup of mulled wine, Irish coffee or Calvados coffee. 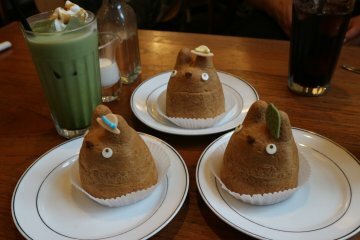 The Delicatessen often sells St. Cousair’s Original Tofu Donuts, made in the neighboring town of Shinano. 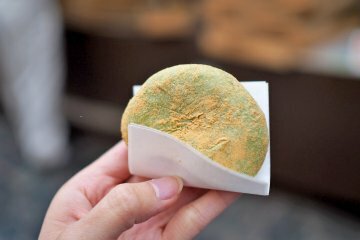 These donuts are so sweet and tasty, it is surprising that they are made with tofu. The Delicatessen also has a gelato counter, where you can order one- or two-scoop servings of St. Cousair’s original gelato flavors. Visitors can sample these flavors as well. The Delicatessen is open every day except Wednesdays during the winter. Hours are 10:00 am to 4:00 pm. Next to the Delicatessen is the St. Cousair Winery Store, where visitors may sample a number of jams, sauces and other foods produced by St. Cousair. This location is the flagship store of over fifty St. Cousair retail stores located all across Japan. 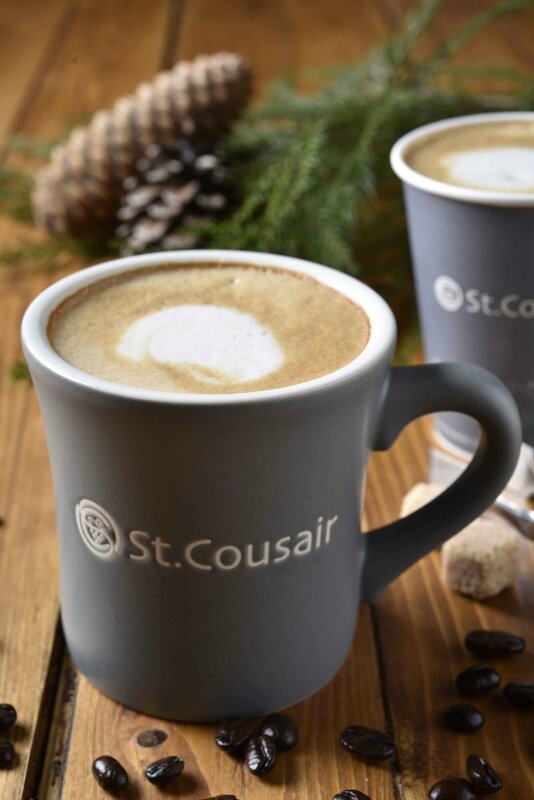 Over 80 percent of the items in the store are produced by St. Cousair, with the bulk of the jarred and bottled goods made at the factory just downhill from the Winery. 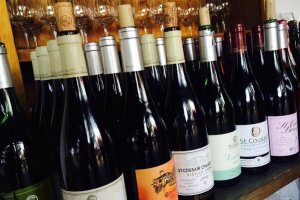 The highlight of the Winery Shop is the tasting counter, where visitors can sample the various wines and cidres made by St. Cousair. 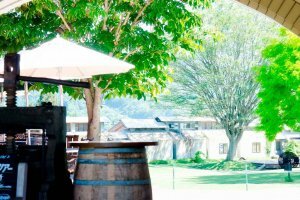 The products sold here make excellent souvenirs, and the friendly staff of the Winery Shop will go out of their way to help you find exactly what you are looking for. Gift-wrapping is available, and done quite elegantly! The shop is open daily 9:00 am to 5:00 pm from April to November, and until 4:00 pm during the winter months. The shop is closed Wednesdays during the winter. As if relaxing in a serene setting and enjoying gourmet food and find wine weren’t enough, St. Cousair Winery also offers a number of special events and activities throughout the year, including the Grape Harvest and Wine-Making events and seminars, a Hula event, the popular Wine Festa and Curry Festa, sausage-making and cooking classes, and during the Christmas season, wreath and swag-making lessons. Although the Winery seems so far away from the city, it isn’t at all. 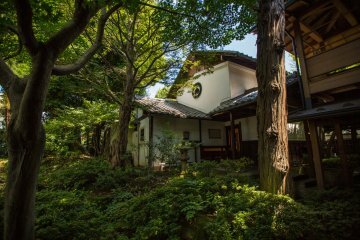 St. Cousair is only 30 minutes by car from downtown Nagano or Iiyama, one hour from Hakuba and 90 minutes from Matsumoto Castle. By Car: From the Pacific side of Japan, take the Joshin-Etsu Expressway to Shinshu Nakano Interchange. At the light, turn left, and drive 2 km, crossing a bridge and going through a tunnel. After the tunnel, turn right at the first light and drive uphill. Continue along this road until you see the sign for St. Cousair. Turn right and follow the signs up the hill to the Winery. From the Japan Sea side of the country, take the Joshin-Etsu Expressway to Shinanomachi Interchange. After the toll gate, turn right, then left and at the first traffic light, turn right on to Route 18. Drive to the Furuma-tamachi traffic light and turn left. Drive straight along the road until you see the signs for St. Cousair. Follow the signs from here to the Winery. By Train: Take the Hokuriku Shinkansen to Nagano Station. Transfer to the Shinano Railway Company local Kitashinano Line for Myoko Kogen and get off at Mure Station. From the station, the Winery is a three-minute ride by taxi. 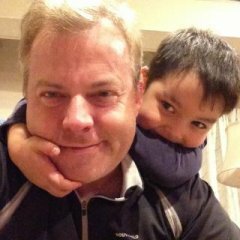 I first came to Japan in 1998, figuring I would be here for a year and then go home. As it turns out, I never did go home. 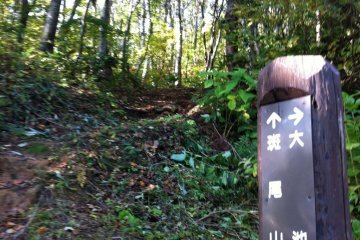 I made Nagano my new home, and I now live far from the city in the forested mountains of northern Nagano Prefecture. 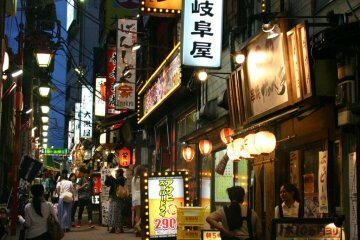 I have come to love much about Japan -- the culture, the architecture, the food, the history, the people, but most of all the beutiful natural scenery that everyone can find once they leave the crowded cities. 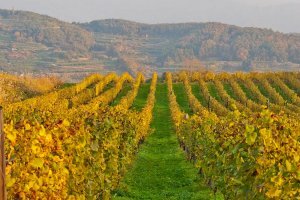 The view of the vineyards in autumn is spectacular!